How products sound, feel and the overall sensory satisfaction that they provide consumers appears to be a key food and beverage sector trend, according to the latest report from global market research group Mintel. The report shows that 43% of Chinese adults that currently consume ready-to-drink tea would be interested in a ready-drink that contains a different texture, such as fruit pieces. While 37% of Spanish and 36% of Polish adults are open to trying new food and drink products with unusual textures in 2018. 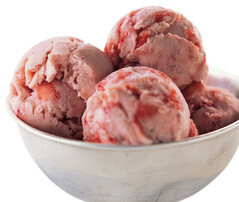 Chewy beverages or chunky, creamy ice cream are just several examples of how texture can provide consumers with experiences that they will want to share on their social media feeds, positioning new food and beverage products as items that are functional and filling, in addition to being fun. At Tate & Lyle we understand the need to develop your product range to meet consumer trends, helping you to produce products that both engage and entertain. Our diverse texturants portfolio offers a range of products that offer unique functionalities, from thickening to emulsifying and gelling across applications that include yoghurt, dairy desserts and snacks to soups, sauces and prepared meals. Just another example of how our ingredient solutions make food extraordinary.